If you’re one of the many people who can’t go without a cup of coffee in the morning, you might want to stop and think about how much money you’re spending at your local cafe. There are several coffee makers on the market that could be saving you an ample amount of cash, such as the Miele CM5200BL. This machine has programmable cup sizes and a whole bean system that will make you feel like a barista in your own home. However, it still takes a certain amount of skill and effort to ensure that you’re satisfied with what you make in your kitchen compared to the drinks from the cafe. Here are some secret tips for brewing delicious coffee as soon as you roll out of bed in the morning. Esquire magazine stated that you can instantly upgrade your morning cup of joe by adding a little milk to it. Invest in a French press to create foamy milk to top off your coffee – all you need to do is add warm milk to the press, then gently plunge the liquid up and down until frothy. Now, you have the consistency of a cappuccino, which can make any beverage seem like it’s cafe-made. While machines like Miele CM5100WH can handle whole bean coffee, you might want to grind your own coffee to bring out any potential flavors. 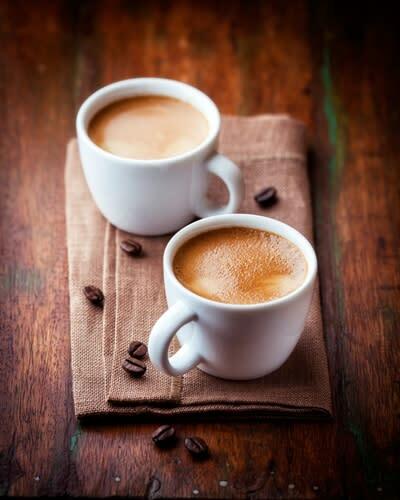 Many coffee aficionados believe that grinding your own beans can enhance the taste of your beverage. As the Wall Street Journal reported, there are hand grinders as well as electric-powered models that can help you try this method. The amount of coffee you use can play a large role in the end result, whether you like your beverage strong or mild in flavor. For this reason, Slate magazine stated that it’s ideal to have a digital scale on hand to measure out your beans before you get brewing. This can help you ensure that you’re using just the right amount to achieve the cup of joe you’re looking for. While you’re making your coffee, former barista and coffee expert Erin Meister says that you should never let your beans and hot water mingle for more than four minutes. This will ensure that you don’t create a burnt flavor in your beverage and steep the coffee for just the right amount of time. Miele CM6150 vs. CM6350 - Which Miele coffee machine should you buy?